Heat the oil in the pan and fry the onion until golden. Add all ingredients including crashed or thinly chopped garlic, sugar and salt. Let the sauce reduce on medium heat for 15 – 20 minutes. Tip: If you want to make the sauce smooth and creamy simply blend it with 2 full tablespoons of cream cheese or mascarpone. 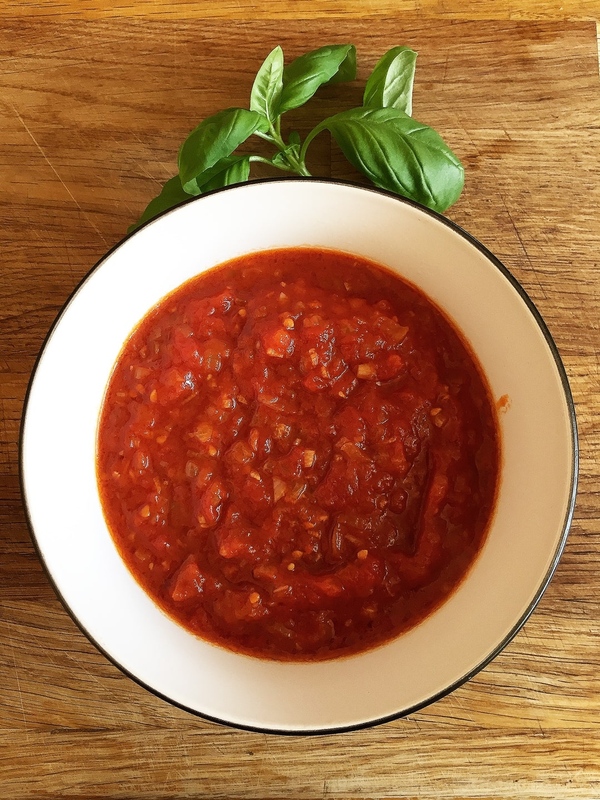 Since the day I’ve tried this brilliant homemade sauce I fell in love with it and I’ve never gone back to having spaghetti with ketchup or one of those commercial sauces (oh yeah I still remember those dinners well). 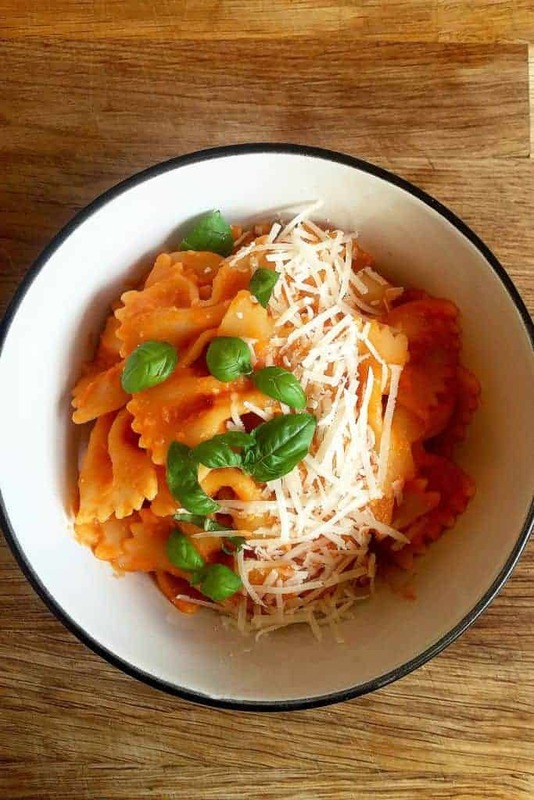 Making this amazing tomato pasta sauce takes around 30 minutes of your time, that’s how simple it is. It’s a perfect solution when you need to make a quick dinner from scratch and you don’t want to compromise on taste. It’s handy to prepare the sauce in advance and store it in the fridge for up to 4 days or freeze it to make sure it lasts longer. Preparing two meals from this recipe is easy. Just double the ingredients and cook a bigger batch. 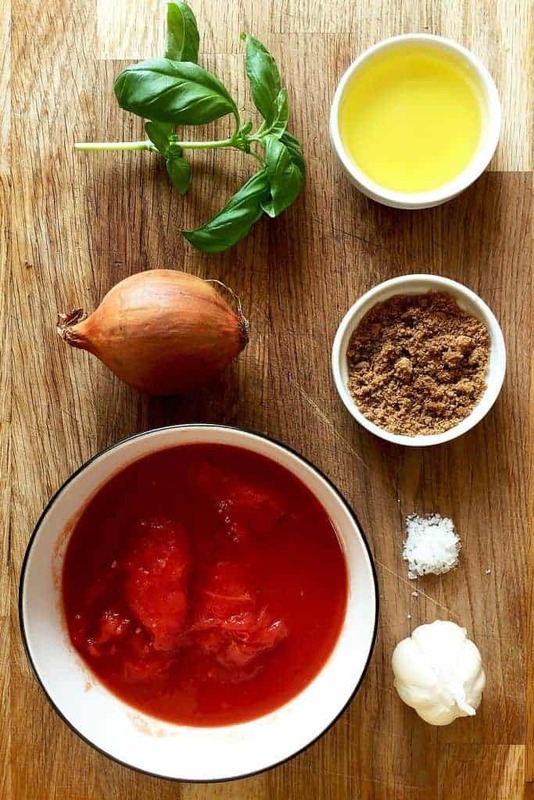 We often have 1/2 of the sauce with spaghetti and parmesan and we keep the rest of the sauce in the fridge for another quick meal 2 – 3 days later. It’s super simple to alter the recipe and make it taste different by adding 2 big tablespoons of cream cheese and blending it. I usually use Philadelphia because it’s always in our fridge but if you want to make it more indulgent, you can add mascarpone instead. This little step adds a smooth, creamy taste to the sauce. 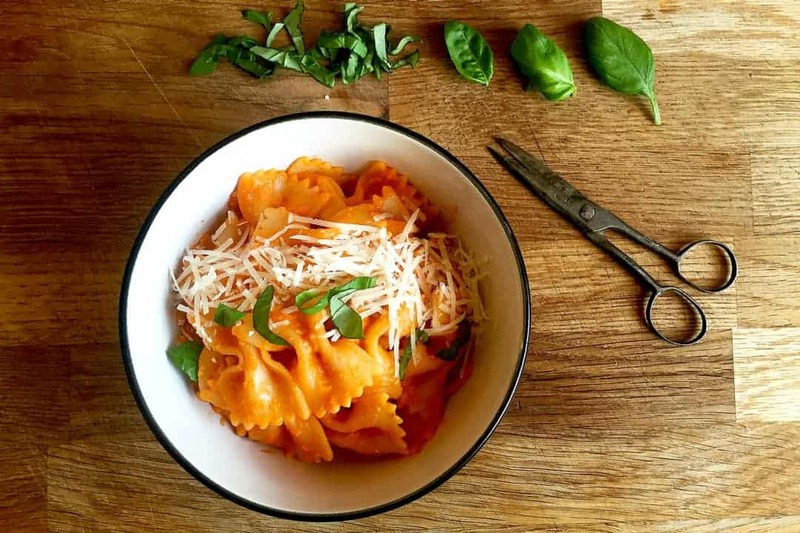 You can serve it with olives or fresh basil for change. In my experience, making the sauce smooth helps with fussy children alias my younger boy. He barely eats any vegetables, so he doesn’t like the sauce when it’s left with pieces of tomatoes but he loves it with his pasta when I blend it.